Good news for the New Year – the report in today’s Observer about the arrangements to be made between AMICUS, IG Metall and two US unions to organise on a global basis. This could turn out to be a more significant step even than the forthcoming merger with the TGWU. But the private sector is no longer organised nationally – does it even make sense to think of separate national capitals any more I wonder? The other side are organised on a global basis and our class needs to do the same. Derek Simpson foresees a multinational union organisation within the next decade. The quicker the better I should think. The challenge we face is how to maintain democracy and lay control as our unions get larger and more remote. One of the US partners in the discussions with AMICUS and IG Metall, the International Association of Machinists, has faced criticism from union democracy campaigners. Bigger unions are not necessarily stronger and more effective just by virtue of their size. We also need to ensure that our unions are under the effective control of rank and file members. 2020 vision for the LGPS? Will it be a Happy New Year for the Local Government Pension Scheme (LGPS)? 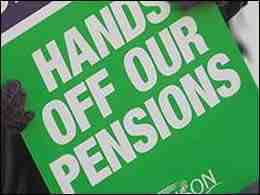 The key factor behind the massive strike action in March was that LGPS members were being denied the lifetime protection for existing scheme members which was offered to members of other public service pension schemes in October 2005. The official position is still that full protection is only available to those existing scheme members who will be 60 by 31 March 2016 – with limited protection for those who will turn 60 up to 31 March 2020. It would be no great shock if the Government brought the proposals for England, Wales and Northern Ireland into line with the slightly more generous protection proposals applicable in Scotland – where the rights of all those current scheme members who will turn 60 up to and including 31 March 2020 are being protected. This would not meet the objectives of the trade unions in relation to protection, which is for full protection for all existing scheme members. We didn’t go on strike to secure protection for some and not for others. With pension fund deficits falling on the back of a rising stock market, lifetime protection for existing scheme members is possible. The governance of the dispute needs to be firmly in the hands of those who are affected – union members who are members of the LGPS. I hope that the Standing Orders Committee for UNISON Local Government Conference, which meets on 4 January, will agree a sensible timetable for the Special Conference which has been called in the light of the well supported requisition initiated by the Kirklees branch. The handful of malcontents who still oppose the call for a Conference may yet attempt some sabotage – but that would be ill advised. Protection to 2020 is not good enough. The membership need to take control of this dispute. Update on 4 January - in fact I was wrong (there is a first time for everything dear reader ;p) - the Government tabled the draft Regulations for formal consultation late on the afternoon of Friday 22 December. Isn't it always the way that you find a present still wrapped up about now when you take the tree down, but when you open it it is a big disappointment? I'll blog about this tomorrow. The Unions and Labour's chances of a second century? The decline in trade union membership seems to have bottomed out in the last couple of years, but the membership of “our” political party is in freefall. After 100 years, who is betting on a second century? What is the New Labour response to this crisis? Why it is to set up glorified focus groups to create the illusion of popular involvement in decision making. Anyone who has ever been on the receiving end of “consultation” from an employer knows just how real and meaningful that popular involvement will be. This top down “loyalty card” politics purports to be about asking people what they want and then giving it to them, but since it is combined with an attempt to remake centre-left politics by those who believe we live in an age in which the state can achieve almost nothing of substance, it will inevitably come to be about shaping people’s perceptions around the choices already made by leaders incapable of believing that they are wrong. That is why we need to build rank and file organisation across the Party and the unions. I know that there are many in the leadership of the unions who think that we will isolate ourselves from influence if we line up with the hard left. If their caution was ever justified it is not now. It is not just that we have so little to show for our influence over the past year. New Labour is marching towards a political future in which membership based political parties are a thing of the past, and in which any democratic channels for rank and file influence by the organised working class over a Government have been closed. We have the opportunity to support an alternative – but only if those Members of Parliament who choose to be associated with our Union use their power to nominate leadership candidates to ensure that our members are given a choice. If the union leadership choose to abstain from this democratic process for fear of losing their influence over a future leader who is our most dangerous adversary we will be perilously close to the end of the road for the union-Labour link in any useful form. I should have thanked Daniel for pointing me in the direction of the news stories btw. Thanks comrade and Happy New Year! Sorry for the reduced rate of posting recently – I am laid up in bed with a cold but, having had to prop my computer on my lap to send a couple of Emails I thought I ought to share a worry about (Labour) Party funding. The threat to the current regime for union funding of the Labour Party could provide an opportunity to those who would like to restrict union influence over the Labour Party. One supposed friend of the unions (Alan Johnson) has suggested further reductions in the share of the Party Conference vote taken up by the unions. This would, in recent years, have saved the Government from defeat on all manner of contentious issues. It is not beyond the bounds of possibility that those within the Labour Party who wish to restrict trade union influence will take a chance to restructure the relationship so that we can go on providing the funding (perhaps repackaged somehow) without being in such a strong position to win support for union policies within the Party. I did read in the Independent that “Dave Prentis, the leader of the biggest union, Unison, is expected to back the Education Secretary, Alan Johnson (in the race to be Deputy Leader of the Labour Party).” So I understand why some UNISON members have expressed worries to me that our Union might not be in the forefront of resistance to attacks on the effectiveness of the union-link. These worries cannot be well founded if UNISON is going to pursue our agreed policies. Of course, if we want to convince an increasingly sceptical UNISON membership of the efficacy of the link with the Labour Party in promoting the interests of trade union members we probably need to make sure that there is a candidate on the ballot paper for Leader who backs our policies. Congratulations to Nick Holden, he has been elected, in a by-election, to the East Midlands seat on UNISON's Health Care Service Group Executive. I know Nick and I am sure he will be a great asset to as member of that executive. The by-election was caused because the person previously elected resigned three weeks after the election to take up a full time Job in UNISON. So AMICUS are clearly hoping for a new Union – and the question has to be whether the TGWU recalled Biennial Delegate Conference will agree. Then again, I don’t think you would get very long odds on this. Given the illogical structure of our trade union movement there is as much industrial logic in this proposed merger as you could hope for. From experience I would say that activists in both Unions need to watch out for factions within the full-time machinery trying to grab power out of a merger. Also it has to be essential that the groups of activists in the merging Unions get together as soon as possible. That means the AMICUS Unity Gazette and the TGWU Broad Left (whose lack of a public website may indicate a certain weakness?) need to get together to organise the rank and file of the new Union. Certainly in the merger that created UNISON we failed to bring together the left across the different Unions and let the officials make the running. I hope that comrades in AMICUS and the TGWU will want to learn from our experience. Update on 20 December (from the Morning Star this morning) the TGWU recall BDC did indeed back the merger, but - as per Louise's comment on this post - there seems to be no agreement about the name of the new Union! It is always good to be reminded that however awful New Labour are (and they are) – the Tories are worse. This website (which is not new, but I had not visited it before now) shows them at their worst – it sets out to offer help to people in debt (but then it describes debtors as “tossers” which is hardly the non-judgemental approach necessary for good advice work). There are better places to go for advice. Debt is a major social problem – and it is not down to people having “inner tossers”. Scapegoating debtors and the poor won’t help to understand or resolve the problem. As Councillor Bob Piper pointed out a while ago – this approach is hardly appropriate for a Party so much in debt itself. Even Liberal Democrats can work out that this is stupid. Since low wages mean that work is not necessarily a route out of poverty – if the Tories really want to help they should back the living wage campaign. It is because the Tories really would be worse even than New Labour that we need Labour to sort itself out and to back policies which will appeal to our core supporters. I was very disappointed with the way in which this morning’s meeting of the UNISON Greater London Regional Council was handled. We had a number of good and constructive discussions – but there was more that we could have done. Had the meeting not been closed when it was I would have asked that we discuss how to support the TUC lobby of Parliament on 23 January, but also about support for those ripped off by Farepack. I was pleased to be advised that the Regional Women’s Committee had pledged £500 to UNISON Welfare to help UNISON members let down by Farepack – but had the Regional Committee discussed this we could have doubled that (I hope the Regional Finance Team thought to do this later). So why did the Regional Committee wind up early? Well, there was a difficult discussion prompted by the Regional Secretary – backed by the Regional Convenor – advising the Regional Committee that a previous Committee decision was to be overturned by administrative decision (about which the Convenor refused to allow a vote!) The issue was around a couple of motions from the Haringey branch both of which concerned, in different ways, the imminent change of Prime Minister. The Regional Secretary had previously advised the Committee that these ought not to be discussed by the Regional Council, but should be referred to the Regional Labour Link Committee. The Regional Committee had, quite reasonably and properly, refused to accept this advice. The Regional Secretary told the Committee that, following discussion with the General Secretary’s Office she was advising the Committee that their previous decision was outside the Rules and therefore had to be overturned. This, she said was a matter of application rather than interpretation of our Rules and could therefore be decided by paid officials rather than being referred to elected NEC members. The Committee was told (just before the Convenor refused to take a vote) that, had we disregarded this advice, the Regional Secretary had been instructed to withdraw all the staff from the Regional Council meeting. Of course there is no requirement in Rule for paid staff to be present in order for a Regional Council meeting to transact business. However, the majority of the Regional Committee would almost certainly not have wanted to respond to such a confrontational approach in kind, so it is a shame that no democratic decision was permitted. It is inexplicable that the Regional Convenor and Secretary had not sought an interpretation of the Rules on this point in the appropriate way. Since that could easily have been done it almost appears that a difficult and unnecessary confrontation was sought – it is almost as if the left on the Regional Committee were being set up to get angry! (Of course I am sure this was not the case, and – as it happens – the disappointed majority of the Regional Committee behaved with exemplary and impeccable courtesy in the face of what could so easily have been seen to have been deliberate provocation). Underlying this dispute is the long standing difficulty which UNISON’s Rules have created for us by creating UNISON Labour Link as a quasi-autonomous part of our Union. There are those who will fight hard to maintain the freedom of the Labour Link from accountability to the wider Union. I am pleased to say that there were some far more constructive contributions made by speakers at the Regional Council, about which I shall report here when I have the chance. I’ll post a full report from today’s meetings of the Regional Committee and Regional Council of Greater London Region UNISON later (best not to blog when angry…). I am sorry to report that, for the second time in a row there was not a quorum present at the Regional Council. It is some years since we had two out of three inquorate Regional Council meetings in a year and it is a sorry statement about the organisation of the Union by the Regional office that we have ended up in this predicament. Whilst it is a shame that this message was not conveyed to the 92 voting delegates who did turn up today, I hope that we can get the message across to UNISON members in London that we need a unified, joint union campaign against privatisation, I am sure that we can mobilise significant support from 130,000 UNISON members in Greater London for our public services (in line with the views of a large majority as expressed in a recent opinion poll). Today is the new date for the meeting of the UNISON Greater London Regional Council which was moved from 1 November because it clashed with the NHS Together lobby of Parliament. I hope we have a quorum of members present, although given the proximity to the holidays and the needless confusion created about whether and when the meeting would take place I have some doubts. I’ll post a report later today. Locked up for not being a threat...! This is prompted by something in today’s Morning Star about Omar Deghayes, a Libyan born British resident held without trial in Guantanamo Bay for the past four years, whose case I have mentioned here before. Aside from the horror of detention without trial and with no access to justice – and the appalling refusal of our Government to speak up for those British residents who are not British citizens – Omar’s case has reached a point even Kafka couldn’t have made up. The US would be prepared to release Omar but only if the UK kept him under a level of surveillance that the UK authorities, not considering necessary, refused. So if Omar really was deemed to be a threat to the UK he could have been released, but because he is not he remains detained without trial on another continent with no hope of release. This is an outrage and, if you can spare a few minutes to help a campaign against injustice visit the campaign website the next time you get a chance. Omar, is a father, a brother and a son - what if he was your father, brother or son? I have been looking for an appropriate way of making up a hat trick of defeats, having secured probably the lowest ever vote in an election for UNISON General Secretary in 2005 and then having been defeated earlier this year in the election for Regional Convenor for Greater London UNISON to replace Geoff Martin. Now in the Bloggers4Labour awards this blog has been narrowly defeated in the category of “best trade union blog” by “None of the Above”! I am hoping that the run of bad luck is over now – and that I have enough good luck to spare some for the union negotiators meeting the Local Government Association and Phil Woolas to discuss the Local Government Pension Scheme. Lobbying by the unions is making itself felt and sympathetic MPs have been talking to Woolas. I hear that there may be some movement from the Government, but I don’t think we are going to be offered full and equitable protection for existing scheme members which is what we want. Still, any movement from the other side in an industrial dispute is generally (unlike this blog apparently) better than nothing! Following the successful settlement between UNISON and Glasgow City Council, UNISON and the GMB are now taking judicial review proceedings against Falkirk Council who are seeking to impose a pay and grading review. Equal Pay is the submerged nine tenths of the iceberg of all the discussions since I have been on the UNISON National Executive. The determined struggle being waged by UNISON members in Coventry looks set to be joined by any number of disputes up and down the country. Legal and industrial disputes are an inevitable consequence of a Government willing the end (closing the gender pay gap) without willing the means. Gordon Brown won’t stump up the cash that is required – and has been criticised by UNISON for this failure – but will the unions use their political voice to back a candidate for Labour Leader who would do what needs to be done…? The NHS - safe in Labour hands? Yesterday evening I experienced the excitement that is the Enfield and Haringey Fabians – enjoying the hospitality of Andy Love MP. Although the turnout at the meeting was not impressive in terms of quantity, we had an interesting chat with the talkative Kevin Barron MP who was expecting to be on the Today Programme later this morning talking about a report from the Select Committee on Health (which he chairs) about NHS Deficits. I was more than a little worried that Kevin Barron seems to think that it is a bad thing that some of those opposing NHS cuts are politically motivated. Is it a bad thing to be politically motivated? What better motivations are there? I fear that, on the evidence of this meeting, we have yet to convince Labour MPs of the self-evident case against private provision of our public services. Time, I think to follow advice from UNISON and go on the TUC lobby of Parliament on 23 January! Lobby Camden Council against cuts! I have just spoken to over 300 members of the Camden UNISON Branch at Camden Town Hall. I was pleased to follow John McDonnell MP, who was well received as he offered his support, as a UNISON member and Labour MP, to the branch - which faces over 300 job cuts. I was down to speak on the pensions dispute (which I did) - the meeting went on to consider the cuts which Camden's new Tory/Liberal Council are pushing through. These are very severe attacks on public services, and I will post further details later. So General Pinochet is dead. Good riddance. Shame he cheated justice. Still, one less reactionary in the world. Under Pinochet Chile was a testing ground for what we came to call Thatcherism. We are all still living with the consequences. I never was much of a fan of Tony Blair – but today’s speech doesn’t just take the biscuit, it takes the entire tin and hands it back with just half a custard cream with the cream licked off. He wants to define "common values" all citizens are "expected to conform to". It strikes me this bloke isn’t living up to our British values of tolerance – can’t we deport him somewhere? I nearly forgot to report on a moment of what could have been light relief at the end of Wednesday’s meeting of the UNISON National Executive Council (NEC). Yorkshire and Humberside NEC members, John McDermott queried the minutes of the October meeting, as the section dealing with the report back from the TUC did not record the discussion which had taken place about the running of the delegation and the decision of the Presidential Team to send three delegates home because they walked out when Tony Blair got up to speak. I stayed in the hall suffering Blair’s awful speech and blogging. I remembered that discussion at the October NEC – and reported it here on this blog. However, the President stated that no such discussion had taken place and that the minutes were accurate. John (rightly in my opinion) moved to challenge the accuracy of the minutes (which did not and do not accurately record the relevant discussion at the October meeting – but when this was put to the vote only a handful of NEC members voted against the President and in favour of the accuracy of the minutes. It would be over the top to compare this episode with the falsification of history – but I think it illustrates quite well just how uncomfortable most of my NEC colleagues are with critical contributions (indeed with critical thought). This does not make our union stronger. Dave Prentis pointed out that the main issues with which the Union was dealing (equal pay, pensions and the NHS) had already been discussed at the meeting. He dealt with a number of other important issues. Dave thanked those involved in expelling a supporter of the racist British National Party from UNISON. The NEC members and officials involved in the case had had to face up to intimidation from the BNP and had implemented the Union’s Rules. The NEC agreed a donation of £5,000 to the fund established to compensate those who have been ripped off by the collapse of the “Farepak” Christmas hamper company. it was also agreed to urge the TUC to use its links with the bankers involved to put pressure on them to provide more funds (and to reconsider our relationship with the bank, which provides TUC credit cards, if they do not). Dave reported on a launch of this campaign in North Wales. Domestic violence is one of the topics on which we are considering inviting a guest speaker to next year’s National Delegate Conference. The General Secretary expressed his support and admiration for TELCO and particularly praised the role of Jean Geldart of the Tower Hamlets branch in working with this community organisation from which he said we had much to learn. It was reported that the Pink Paper had nominated UNISON as a contender for an award as a gay friendly organisation. Dave reported that UNISON was working closely with the Campaign for Nuclear Disarmament (CND) to develop details of the alternative better uses to which the billions which the Government wants to waste on new nuclear submarines could be put. UNISON were hoping for funding for equal pay, pensions and the NHS in the Chancellor’s pre-budget statement. In the event we were disappointed. Following on from the very successful lobby of Parliament last summer organised by the Public Services Not Private Profit Campaign (to which UNISON sent a message of support) the TUC are organising a lobby of Parliament against privatisation on 23 January. This will be an important opportunity to alert MPs to the risks of further privatisation inherent in the Local Government White Paper. Although we have lots to do in terms of pensions, equal pay and defending the NHS it is very important that we support this joint trade union lobby against privatisation – the Government’s attacks upon our public services are across all the services and we need to respond in an equally coherent way. Consideration will also be given to the Structures Review and Branch Funding. The NEC also received the annual report of action taken in response to motions not taken at last year’s Conference and therefore referred to the NEC – this is circulated to branches (as required by Rule). The NEC received a report on the work of NHS Together following the successful lobby of Parliament on 1 November. The focus of the campaign was currently on local activities. The Health SGE had agreed to consult health branches about whether or not to go ahead with a national demonstration on 3 March or to have a day of local activities. Following suggestions from a number of NEC members (including myself) it was agreed to extend this consultation to all UNISON branches, on the basis that the future of the health service is an issue for all members and we would hope that all members and branches would support a national demonstration in defence of the NHS. The NEC received a tabled report from the Head of Local Government. Following the decision of the local government minister, Phil Woolas, to allow further time for negotiations, further talks between the unions and local government employers are expected to commence this week. There appear to be no grounds for optimism about the outcome of these talks. It is now expected that the Regulations will be published at the end of next week, and meetings of Service Group Executives will take place on Monday 19 December and of the Industrial Action Committee on 20 December. Branches involved in the dispute should be preparing for a strike ballot commencing at the end of January with industrial action commencing in early March. It is very important to lobby MPs now and during the formal consultation period on the new Regulations, which will run for twelve weeks once the draft Regulations are published. The website is regularly updated. There was some confusion about the status of the decision to call a Special Local Government Service Group Conference, though this was eventually resolved on the basis that the previous NEC meeting had agreed to delegate authority to approve the previous request of the Local Government Service Group Executive (SGE) for such a Conference to the Service Group Liaison Committee and Finance and Resource Management Committee and that these bodies had approved this request. The Head of Local Government confirmed that, at the time of the decision of the Service Group Liaison Committee to approve the request for a Special Conference it was believed that the requisition for a Conference initiated by the Kirklees branch had already attracted the support of branches representing more than 25% of the membership of the Service Group. However, as at that time the two month deadline for receipt of valid requisitions had not expired, and as the Service Group Liaison Committee (on behalf of the NEC) had approved the request of the SGE for a Conference before the expiry of the deadline this therefore took precedence over the requisitioned Conference. It may or may not be worth spending time exploring this questionable logic. The Standing Orders Committee for Local Government Conference will meet on 12 December to consider a request from the SGE for a timetable of less than sixteen weeks leading up to the Special Conference and to determine the date for the Conference. Louise Couling took issue with those who were critical of the conduct of the dispute and claimed that it was being run by officials. Jon Rogers took a different view and pointed out that if our activists and branches were confident in the governance of the dispute there would not have been such a strong response to the call for a Special Conference. The key issue on which we now need to focus is rebuilding the momentum of the dispute with a view to intensifying our political lobbying and preparing for strike action. The NEC received a comprehensive report, the contents of which were confidential and legally privileged. The issue of equal pay is now taking up the majority of the time of our senior national officials. It is not possible to go into detail about the report received at the meeting. Further briefings will be arranged for branches in the Region and the website will be updated. The good news of a recent settlement between UNISON and Glasgow City Council was reported to the meeting, although details were awaited. This settlement appears to have achieved an important breakthrough in protecting the earnings of those who may lose out in a pay and grading review. I am going to post here some of the proceedings of this week’s meeting of the UNISON National Executive Council (NEC). Any UNISON member in Greater London who would like a full copy of my report of this week’s NEC meeting – please Email me at j.rogers@unison.co.uk. I am only going to blog about some of the main items from the meeting – but will start by expressing great regret about the sad and untimely death of my fellow NEC member Diane Shepherd, NEC member in the Yorkshire and Humberside Region. Her funeral takes place in Wakefield on Monday 11 December. This was very sad news indeed. Today is that most auspicious day, the date of the December meeting of the UNISON National Executive Council (NEC). Having omitted to attend the drinks reception last night (much against the normal run of play) I am hoping not to be bleary eyed for important discussions about equal pay, pensions and the future of the NHS. I shall blog bits of my personal report of the meeting once it is written – and will then know whether or not I am currently wasting my time reading and rereading UNISON Rules D1.9 and D3.4 (with particular reference to Rule D3.4.11) concerning the requisitioning of Special Service Group Conferences and the necessary timetables. Is this the begining of the end of New Labour? Blairite loyalist, Ann Clwyd MP has been ousted as Chair of the Parliamentary Party. 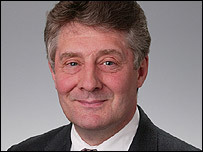 Tony Lloyd not some one particularly of the left but an Anti war MP never the less, has been elected to the role. Apparently many MP’s did not feel Clwyd represented their views. Lloyd won by 169 votes to 156. Clearly some Labour MP’s, previously loyal, are finally finding some backbone by voting against one of Blair’s (and Browns) chosen one. I hope they show similar independence in the nomination process for leader? It is in the same MP’s hands as to whether we have a proper debate about the future direction of the Labour Party by ensuring John McDonnell is on the ballot paper when the leadership election is finally called. Congratulations to the Glasgow City branch of UNISON, who seem to have won a significant victory in the fight to protect members’ earnings. The branch had threatened a three day strike in opposition to massive pay cuts threatening some members when protection arrangements expired in 2009. The employer had reacted angrily to the prospect of strike action – and UNISON had responded vigorously. Now the militancy of our members in Glasgow seems to have paid off. Glasgow seem to have come up with a formula to protect the earnings of “losers” in a pay and grading review by using job redesign to provide an objective justification for the maintenance of earnings. This is very good news for all local government workers, since it means that we have found an appropriate mechanism to protect earnings without perpetuating unequal pay structures. Not sure we should be patting ourselves on the back just yet though. The Government may have learned from their errors. Or not. Don't Spam me - I'm a vegetarian! One (not very interesting) side effect of blogging is getting anonymous comments which try to promote various different ways to separate the foolish from their money. I enabled comment moderation on my blog to ensure that I did nothing to help this nonsense (which had the pleasant side effect of freeing me from the anonymous and pseudonymous commentators who specialise in red-baiting, and who seem to have a particular affection for misogyny). I would not let this discourage any trade unionist from blogging. This is a valuable new form of communication with our members which can do much good. There are sad parasites who will try to benefit themselves by making use of our use of these communication technologies - we just have to ignore them. I particularly enjoy ignoring the red-baiting misogynists, but I put them very much in the same category as the people trying to sell me enlargements of bits of my anatomy - so I really just enjoy ignoring all the sad inadequates out there. I shall continue to treat spam (unwanted email etc.) as any vegetarian would! So our new nuclear subs will only carry 160 warheads rather than 200. So that’s just 160 cities full of civilians we could wipe out if we wanted to – I wonder who the lucky 40 now off the target list are? UNISON backs CND in its opposition to Trident replacement, as does the TUC. Public opinion is against Trident replacement and there is no rational argument in favour. To those who argue that the possession of nuclear weapons is some sort of insurance policy I would suggest that they do some internet research on insurance. A variety of competitive products are on the market if you need some insurance – none of which involve spending billions of pounds on weapons of mass destruction! Where are the draft pension Regulations? I understand that the special meeting of the UNISON Local Government Service Group Executive (SGE) due to take place on Monday to consider the dispute over the Local Government Pension Scheme (LGPS) has been cancelled. The draft pension Regulations announced by Phil Woolas last week have not yet appeared. I won’t be popping Champagne corks about this (unless the Islington UNISON branch Xmas drinks are going up market this year…) Unless the Government have a truly dramatic change of heart we are going to have to ballot for further strike action – and the SGE meet again on 14 December in any case. UNISON members need to step up our campaign to defend the LGPS. Labour MPs in particular need to be made to understand the political damage they will do to the Party if the Government does not offer equitable treatment to members of the LGPS. Nevertheless, it is always good to see the appearance of hesitation and indecision on the other side in a dispute – even if it is only the appearance. Thanks to John McDermott for the information btw. At the end of each episode of Spike Milligan’s Q series I seem to remember the characters approaching the camera asking “what are we going to do now?” It is a good question for trade unionists. When even former enthusiasts for partnership between unions and employers can see the social space for this shrinking under the economic pressures of globalisation, and when the Chancellor, in whom some trade unionists place hope, urges us to evangelise this globalisation, it is increasingly clear that the unions face difficult choices. What is our political strategy? UNISON decided in 2005 what it wanted from a third term Labour Government. Without denying the positive achievements of the Government since 1997, you have to admit that we are not currently getting what we wanted. On the contrary we are forced to confront the Government over the LGPS, the future of the health service, housing and education. That’s without even thinking about Trident, Iraq and a dozen other issues. My personal views are pretty clear to anyone who reads even a little of this blog. I think the trade unions need to back a challenge to the current Government within the Labour Party. I know that there are those of you out there who disagree with me, so please, accept this invitation to tell me what the other strategy is. How will acquiescence in the accession of Gordon Brown advance our interests? I always remember that when the London dockers struck in 1889 the Australian unions were swift to offer support. (Not because I was there you understand, I just paid attention at school) – so you should check out this news over at another useful union blog. The Aussie union website shows how unions should work together in adversity. UNISON is united in anger at recent developments in relation to the Local Government Pension Scheme, about which I commented here earlier. General Secretary Dave Prentis is urging all local government pension scheme members to take immediate action to let their employers, councillors and MPs know how angry we are at the pensions negotiations being spiked by the "hostile intervention" of the local government minister. His occasionally vociferous critic, local government member of the UNISON National Executive Council (NEC) Glenn Kelly (pictured here to your right and Dave's left, which is not a political comment on anyone) has circulated a report to branches making the following points. Glenn reports that; “Having already scrapped the right to retire at 60, (if you have 25yrs local government service) which has saved the employers £15billion, they have refused to even move on the protection offered for existing members of the scheme. Only those over 50 are being offered protection. They now want us to pay more. At the moment ex manual workers pay 5% of their salary in pension contributions and the rest pay 6%. The government offer is now saying contribution rates will be 5.5% on the first £12k earned and 7.5% on rest. It will be some of the lowest paid who will suffer most out of this. But, It won’t stop there, unlike the past where the rates of contribution were fixed they now want us to bear the brunt of any future problems. They are proposing that the amount we pay is reviewed again in 2009 for any further changes being implemented in 2011. Whilst we pay more, the employers will be able to cut their contribution rate down to 13.2% from 14.5%. At the moment if your declared permanently unfit for your job you can take your pension and get added years service. The government are now proposing that is not enough. If your declared unfit for your job but told you are fit for “any gainful” employment even outside public services then you lose the right to this benefit and will only get the pension you’ve accrued. On top of this even if you are declared unfit and get your ill health pension, it could be taken off you, if later on your declared fit for gainful work. This could be a bully’s charter of the sick. The only real plus on offer is the promise that the accrual rate will now be 1/60th rather than 1/80th. In the main this would mean that you could get a bigger pension or a higher lump sum than currently. However this higher rate will only apply to service after 2008. The government documents do not mention what happens to all your existing service. Since Glenn has yet to join the select (but growing) band of union bloggers I am posting his views up here. I agree with his conclusion that the UNISON Local Government Service Group Executive meeting on 4 December needs to set the ball rolling for strike action – in line with the policy agreed at our Conference last June. There does not seem to be any other option. If we can stand united as a Union we can defeat the Government and defend our pensions! The Committee spent some time debating procedures for the forthcoming elections to the NEC. There was some controversy around proposals for branches to make nominations by electronic consultation without meeting – about which I raised some questions – and it was agreed that this would only apply to those branches (such as nationally organised branches like Barnardos) which routinely conduct business in that way. Fellow London NEC member Louise Couling also objected to proposals to prevent nominations being submitted by fax (since they may now be submitted electronically). There was also considerable debate about how to define the eligibility of members for low paid seats given that pay increases can occur at any time in the year but the Union, under Rule, uprates the “low pay” definition annually in October (see below). I don’t think that this discussion is yet concluded and we shall return to it in future years. Branches and other nominating bodies can expect to hear early in the New Year that nominations will open on 8 January and close on 16 February with the ballot period between 16 April and 11 May and the results out on 11 June. The Committee had its annual debate about the structure of branch delegations to Conference and agreed to stick with the status quo (branches of more than 2,000 must send a low paid delegate, branches of more than 3,000 must send a young member, all branches should send black and minority ethnic (BME) delegates in proportion to their membership). We also agreed to encourage branches to include disabled members in their delegations. I pointed out in the discussion on this item that the Chair of the National Black Members Committee had commented about the disparity between the treatment of young members’ and black members’ representation and was assured that a survey to be undertaken at the forthcoming National Black Members’ Conference would be the next step in seeking to assure fair representation for BME members. Once more it was reported that only in the London Region are there a significant number of appeals. This probably reflects the relatively smaller proportion of low paid members amongst our membership in Greater London. A related item was a report from the survey of delegates at last year’s Conference. The response rate to the monitoring forms issued at Conference has now risen above 80%. These demonstrate a continuing under representation of women, black members, young members and disabled members at Conference. The Committee resolved that this should be addressed through the consistent application of the scheme of branch representation. As the scheme of branch representation has remained largely unchanged for several years this may not be a winning strategy, and we shall have to return to this issue. Branches may wish to consider this as a topic for Conference motions next year or in future years. The Committee considered a detailed survey carried out by the Labour Research Department into the view of our members about their attitude to our Union and the effectiveness of our structures. If anyone would like the full survey electronically please get in touch with me at jonrogers1963@btinternet.com. This item led logically to the next major subject for discussion – the review of our lay service group and branch structures kicked off at National Delegate Conference 2005 and due to report to next year’s Conference. In the sort of discussion that will be familiar to many old hands in trade union Committees, the Development and Organisation Committee spent quite a long time discussing whether or not to discuss this item before deciding not to. There is a report from the working party set up to discuss this subject which has been issued widely within the Union and on which UNISON bodies are invited to comment by the end of December. I thought that we had missed an opportunity to discuss this at the NEC Committee to which the review will report. I hope that branches will look at this report and make a response – otherwise there must be a risk that future developments will not be sufficiently informed by the views of experienced activists on the ground. The report itself asks a series of structured questions to which branches can respond. The report is available online on the UNISON website, but if anyone has any problems identifying a copy and would like one please Email me and I can forward a copy. The debate for UNISON members in London at least will continue at the Regional Council meeting on 14 December. As a branch activist as well as an NEC member I am watching out for proposals to review branch funding which may be looming. Well I have finally got round to writing up my report from the last meeting of the UNISON NEC Development and Organisation Committee and have circulated it to London branches. Please Email me at jonrogers1963@btinternet.com if you are a UNISON member in London who would like a copy of the report. The first major discussion was on recruitment. This is picking up again and is now forecast to fall only just short of the 3% target. Alan Kerr, Recruitment Officer gave a typically enthusiastic presentation and pointed out that we are within view of a figure of 1.4 Million members. There is no scope for complacency. For Greater London the good news is that we are the fastest recruiters in the country, recruiting at an annual rate of 15.23%, however since we have by far the highest turnover figure (14.5%) our actual net growth rate is a mere 0.73% (second lowest). To hit the current national target with a turnover rate of 14.5% we would need to recruit more than 17.5% in total – or (put another way) for each 200 members an average Greater London UNISON branch we need on average to recruit 35 new people a year to meet the target for growth – or 3 people a month. For a branch of 1,000 that is 15 people a month, for 2,000 it is 30 people a month (this does not take account of exceptional membership loss where there are significant job losses for example). All no doubt a good reason to get more branch activists to sign up to Challenge X and recruit ten extra members. It is a fairly limited form of solidarity to sign a petition, but that doesn’t make it pointless. In line with UNISON policy I am very happy to express solidarity with Venezuela in one way or another. We may have our problems with Pensions, Privatisation and Single Status but we don't necessarily face the same problems as comrades in some other parts of the world. The example of Colombia, most dangerous country in the world for trade unionists, is an indication of what would be in store for Venezuelans if the US managed to derail their Bolivarian revolution. I don’t normally write posts about blogs and blogging. Congratulations to John though for setting up a new site to bring together trade union blogs. This could be a useful way to maximise the benefits to our movement from using this relatively novel form of communication. I am very encouraged by the number of union branches now blogging. I have commented before on Coventry UNISON’s picket line blog – an innovation more of us may need soon given what is going on in the LGPS dispute! The Barnet local government branch of UNISON are also blogging as are Doncaster local government branch and my own local government branch in Lambeth. Nottinghamshire County are blogging too, as are Shropshire UNISON Labour Link. Has anyone found any others? Such is my popularity with all officials of the Union that they occasionally come up with new names for me – one wit recently described me as Jon Blogs. Having been called worse (just occasionally) I don’t take offence. I would like to encourage more union activists and branches to get blogging. A blog is much less work to update than a fully fledged website – it is much more appropriate for busy branch officers, who can update a blog as long as we know how to write a word document and cut and paste! So Phil Woolas has pre-empted further discussions between local government unions and employers by announcing proposals for the new Local Government Pension Scheme (LGPS). This picture of Phil appears to show him sneering at local government workers as he remembers how much more generous the MPs pension scheme is! The headline news has to be that there is no extension of current protection arrangements for existing scheme members losing the right to retire with an unreduced pension at 60. This maintains the exclusion of LGPS members from the protection offered to other public servants. This unfairness is what provoked our strike action on 28 March and it leaves the joint trade unions with little choice but to ballot for further action. The most fundamental change which the Government propose in respect of future service after 1 April (apart from their refusal to offer LGPS members the same deal as other public servants) is to shift from the current pension accrual rate (1/80th of final salary for each year of service plus a lump sum equivalent to three times the annual pension) to a more generous accrual rate (1/60th of final salary for every year of service) minus the guaranteed lump sum but (in line with all outher pension schemes) the right to “commute” up to 25% of the pension into a lump sum at the rate of £12 of lump sum payment for every £1 of pension commuted. This will eventually result in a slightly more generous pension. For example, someone retiring on a final salary of £10,000 with twenty years service in a 1/60ths scheme would be entitled to a pension of £3,333 p.a. or, by using the full commutation they could reduce their pension to £2,500 to obtain a lump sum of £10,000. Under the current arrangement (1/80th accrual rate plus the guaranteed lump sum) their pension would have been £2,500 and their lump sum £7,500. However the Government are proposing to increase pension contributions from the current level of 6% (with many former manual workers paying 5% on a protected basis) to 5.5% on the first £12,000 of earnings and 7.5% thereafter. This means that for those already paying 6% everyone earning more than £16,000 will see an increase in overall pension contributions, whilst those earning less than £16,000 will see a modest reduction (unless they are currently paying the protected 5% in which case they will also see an increase). The total pension contribution will amount to 6.3% on earnings of £20,000, 6.7% on earnings of £30,000 and 6.9% on earnings of £40,000. Whilst the proposals could no doubt have been worse the Government’s failure to offer fair protection to LGPS members makes the overall package unacceptable as it stands. As critics of the Government have rightly pointed out, they are in a mess over this dispute and risk serious political consequences. However, the trade unions have not yet covered ourselves in glory through the tactical decisions which we have made – we need the earliest decision to press ahead with a strike ballot and the most vigorous campaign for the serious and sustained action which is required to win the dispute. Say No to Unilateral Nuclear Rearmament! So, today the Cabinet will be debating replacing Trident nuclear submarines, those worthless yet dangerous white elephants, with newer weapons of mass destruction. Since there are no conceivable circumstances in which any decent human being would ever sanction the use of weapons such as the nuclear missiles carried on Trident submarines there can be no justification for retaining our so-called “nuclear deterrent” (whom does it now deter I wonder, how does it do so and where is the evidence?) The Campaign for Nuclear Disarmament (CND) have published an alternative white paper which sets out the case for not replacing Trident. CND point out that the Government acknowledge that there is no current military threat to the United Kingdom. In September 2005, the then Defence Secretary John Reid suggested that a replacement for Trident would be necessary in case we face a nuclear enemy in the future. 5 Another former Defence Secretary, Malcolm Rifkind has recently described our nuclear weapons as an insurance policy for the future. But rather than providing insurance against an unspecifi ed future threat, replacing Trident will increase the danger of nuclear proliferation and will contribute to a new nuclear arms race. If the UK envisages at least another 50 years of British security being based on threatening other populations with mass destruction then we encourage other states to do the same and thus paradoxically we increase our security risk rather than decrease it. The Government appear to want to retain nuclear weapons in order to cling on to the UK’s Walter Mitty Great Power status and our seat on the Security Council – thereby undermining any credibility which they have to argue against further nuclear proliferation. We need an alternative to the present approach. UNISON has crystal clear policy of opposition to Trident. This is very much a trade union issue. It is not only that, as part of an international labour movement, our trade unions need to press our Government to honour its obligations under the nuclear non-proliferation treaty (to disarm rather than rearm) – we also need to spell out our opposition to such enormous wasteful expenditure when resources could, as Kate Hudson from CND told our Conference this summer, be so much better used developing our public services. I hope that the trade unions will make our position clear in any “debate” about Trident. I was disappointed that, owing to the poor organisation of UNISON’s TUC delegation this year, we did not have a delegation meeting to discuss our abstention on a wishy washy statement from the General Council which may be used to blunt overwhelming union opposition to nuclear weapons. Trade unionists and Labour Party members in particular need to be lobbying MPs to oppose unilateral nuclear rearmament! You can also sign a petition to the Prime Minister opposing the replacement of Trident simply by clicking here! Several hundred trade unionists (mostly I think UNISON members) were present at today’s lobby of Parliament in relation to the Local Government Pension Scheme (LGPS). Labour MPs need to realise that they risk upsetting more than a million of LGPS members and their dependents if the Government legislates to offer us a less valuable pension scheme for a higher rate of employee contribution as seems likely. This will damage Labour in the polls as our General Secretary pointed out at the briefing session today. The Government are not listening – their briefing to Labour MPs for today’s lobby says that “the LGPS was not included in the Public Service Forum Agreement of October 2005 because it is a funded Scheme and has historically always had a pension age of 65, as opposed to 60 for the other public sector schemes. Consequently, it did not come within the remit of PSF, and this exclusion was made clear to the LGPS unions when the Agreement was approved by Alan Johnson.” In other words the (New) Labour Government are happy to stand by the unfairness to local government workers! Paul Holmes, Kirklees Branch Secretary, gave a very positive introduction to the meeting, correctly identifying the lack of direction from our national leadership in this vital dispute. He suggested that our leadership don’t know what they are doing with this dispute. This is quite a persuasive argument. First we managed to lose the unity of all public sector workers in October 2005 and leave the LGPS members to fight alone. Then, having taken the most successful and largest strike action for 80 years we suspended further action in order to allow for negotiations which got nowhere. Now we have the likelihood of an industrial action ballot and the inevitability of a Special Service Group Conference – because 90 branches representing 300,000 of our 800,000 local government members have called for this. The support for the call for a Special Conference amounts to a devastating critique of the failed strategy of our national leadership hitherto. UNISON local government activists need to be meeting now so that branches can take view on the important questions of what industrial action we should call for (in my view we must look at all out action involving all members in strike action of more than a single day and escalating from there) and how we run our dispute (I agree tha the governance of our dispute should be in the hands of LGPS members – not paid officials – and that we need a transparent, democratic and accountable strike committee. Our members are up for a fight on pensions. Our leadership needs to live up to our membership. We’re off to lobby Parliament today in the continuing dispute over the Local Government Pension Scheme. UNISON members will join those from 11 other unions – AEP, Amicus, Aspect, CYWP, GMB, NAPO, NIPSA, NUJ, NUT, T&G and UCATT – in the joint lobby. When I say support Tony I do not of course mean the wrong Tony. Our trade union movement depends upon the voluntary effort of thousands of lay activists, some of whom are motivated by their political beliefs. 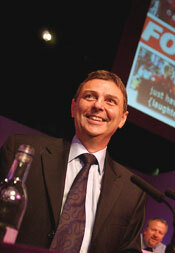 One such activist is Tony Staunton (pictured). Tony Staunton is Branch Secretary of City of Plymouth UNISON Local Government Branch,and has held various elected positions in the South West Region in over 10 years of UNISON activism. He is the Secretary of Plymouth Trade Union Council (TUC). Tony has represented UNISON internationally as a member of a Human Rights Delegation to South West Colombia in 2001, protests against the G8 in Genoa and Gleneagles, protests against the World Trade Organisation in Nice and Geneva, the European Social Forums in Florence, Paris and London, and the World Social Forum in Porto Alegre, Mumbai and Caracas. He has led successful strike actions against cuts to social services and privatisation, with Plymouth City Council being the least privatised council in the South West of England. Tony is also a founding member of the Nuclear Free Coalition supported by CND, dedicated to the scrapping of Trident and all nuclear weapons. Over the past few years he has driven campaigns against neo-liberalism, climate change and ID cards winning UNISON policy initiatives at national Conferences. Typically, Tony travelled up to London for the NHS Together lobby of Parliament on 1 November. Whilst he was there unannounced, a team of senior regional officials entered the UNISON offices on the ground floor of Plymouth’s Civic Centre on at 11:00am, having first confirmed he was in London leading a delegation to lobby Plymouth MP against NHS cuts. All information on the office computers was downloaded, the Branch Administrator and Treasurer questioned, and all records and financial documents taken away. Apparently this shocking episode arose from a complaint to the General Secretary of UNISON following the UNISON South West Regional Council on 8th October 2006 which stated that a 2-sided A4 colour newsletter of the UNISON UNITED Left South West was allegedly printed using UNISON resources outside of the union’s Rules. Now the Union is seeking to take possession of computers which are Tony’s own personal property, having been given to him in the past by the trade union branch in line with long standing past practice. Tony, who was already under investigation for walking out of the TUC in September when Blair began to speak, is being threatened with further disciplinary investigation. In what must just be an unfortunate coincidence, these events have occurred shortly after Tony announced his intention to seek election to the UNISON National Executive Council (NEC). It is very regrettable that the Union should expose itself to the perception that there may be an intention in some quarters to derail left-wing challengers for NEC seats. Although I respect and admire Tony as an activist, I don’t share his politics (he is a member of RESPECT and of the Socialist Workers Party whereas I am proud to have been in the Labour Party for twenty six years). However, I don’t share the childish sectarianism of some of those (not all loyal Labour Party members themselves) who favour knee-jerk opposition to those who are members of other left-wing parties. We need the active unity of all those who are opposed to privatisation, cuts and attacks on our pensions. There is no future for our Union in an approach of seeking quietly to influence a hostile Government – and our members should have the option of voting in Union elections for candidates who will offer an alternative approach. Avoidable internal strife has weakened us before and would do so again. Tony is a great asset to our trade union, and I hope that our members in the South West Region will be offered a fair chance to decide for themselves whether or not to support him. I hope that common sense prevails and that we do not need to launch a major campaign in Tony’s defence. We need our energies to defend our pensions and our health service! Simon Jenkins in today’s Guardian chooses to criticise the under resourced Health and Safety Executive for what he sees as an over zealous approach. Perhaps the only major work related hazard he faces is lunchtime over indulgence, but very many workers face daily risks to their health and safety – and need an organisation which will enforce the regulations which are there to protect us. Hundreds of people die every year as a result of work related incidents, many if not all of which are preventable. There is almost no deterrent effect from the low fines imposed for breaking health and safety regulations. If there is a problem with the HSE it is that it is that its safety inspections, prosecutions, convictions etc. have all reduced significantly, prompting justified criticism from the TUC. This scandal receives little coverage in the mainstream media. Comments on the Guardian’s “Comment is Free” are easy to make – if you have a moment why not visit their site and comment on the article? Stop the victimisation of Yunus! 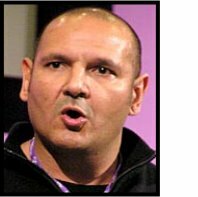 Yunus Bakhsh, a former member of the UNISON National Executive Council (NEC) and current member of the UNISON Health Service Group Executive (SGE) has been suspended by his employers in what looks to an impartial observer like a pretty clear cut case of victimisation of an effective (if somewhat bolshy) union representative. Some details are available online in a leaflet. The latest news is available in Socialist Worker, to which I would not normally blog a link but this case warrants it. Trade unions have to be prepared to defend our activists against the employers. We also have to be alive to the risk that sometimes divisions in our own ranks will embolden the employers to victimise an activist. I hope that this is not one such case and that we can rely upon all colleagues to close ranks against the employer. I was concerned to hear at yesterday’s meeting of the UNISON NEC Development and Organisation Committee that the branch of which Yunus is a member (and joint Branch Secretary) has, along with other branches involved in a recent reorganisation, been placed under regional supervision as part of a “shadow” merged branch. It is important that this step towards unity is not also a step away from principled support for a victimised activist – and I very much hope and expect that UNISON will continue to fight hard against the victimisation of Yunus Bakhsh. The Queen’s Speech was a bit of a disappointment – so short it would fit on one page of Labour Left Briefing (though I think they’ll have better stuff to put on it) – it offered nothing to the trade unions. An Equalities Bill which would protect LGBT people from discrimination in the provision of goods and services and remove age discrimination from the minimum wage (both UNISON policies). A Housing Bill which would give local authorities the fourth option to improve public sector housing whilst retaining both ownership and management of the housing stock – in line with the policies of UNISON, the TUC and the Labour Party. An Education Bill which would abolish tuition fees and Academies – again in line with UNISON policies. An NHS Reform Bill which would abolish foundation status and bring services, including NHS Logistics, back in-house. These too are UNISON policies. A Trade Union Freedom Bill in line with the policies of the unions and the TUC. A stronger Corporate Manslaughter Bill as promised at Warwick – but not delivered. There is plenty more and it is all good stuff – it is worth reading in full. This morning the Development and Organisation Committee of the UNISON National Executive Council (NEC) is meeting. I’ll post a summary of my report to London branches later. The Committee will be looking at a report of some research conducted by the Labour Research Department based upon a questionnaire sent out to UNISON members. The report makes interesting reading. It shows that half of all our members have sought the help of a local shop steward at some point – and that members are most likely to be satisfied with the help they receive from their local representatives. About half of our members have attended workplace meetings – and almost half have recently participated in the campaigning around pensions. I don’t know if this means that the bucket is half full or half empty – but I was encouraged to read that members from Greater London were more likely than those from other regions to have attended both branch and workplace meetings of UNISON. Well done Greater London! I hope that delegates to the Regional Council meeting rearranged for 14 December can live up to this record of participation. The report touches on the question of the relevance of our branch structures – members clearly relate more to issues in the workplace than issues in the branch. Those of us committed to lay control of a democratic trade union will need to monitor closely how the findings of this research are used. Some important news from the UNISON website. There is a protest this coming Thursday lunch time (for those working in or able to get to Central London). The peaceful protest outside the Philippines Embassy, on Thursday16 November, is being organised by The Campaign for Human Rights in the Philippines (CHRP), and a range of other organisations, including Filipino migrant organisations in the UK and trade unions. It takes place in front of the embassy gates on Palace Green, at Kensington High Street between 1-3pm. More than 770 political killings have been reported since President Arroyo came to power in January 2001 (following the impeachment of President Estrada in 2001). Victims include political activists, farmers' leaders, students, priests, lawyers and journalists.The murdered have included 64 union activists and 982 cases have been reported of trade union and human rights violations, including picket line assaults, illegal arrest and detention, harassment and abduction. Card carrying hero of the working class? I was interviewed because of my involvement with the leadership campaign of John McDonnell MP. John has been invited to speak at the next meeting of the UNISON Greater London Regional Council on 14 December because of his involvement with the Public Services Not Private Profit campaign, and his general support for trade union policies. I attended a useful seminar on Equal Pay for UNISON local government activists in Greater London last week Monday – I haven’t yet written up a full report but will do so and will post it on the Lambeth branch blog as well as circulating it. There are clearly a number of problems in several London boroughs with the implementation of the ten year old agreement on “Single Status” – not least the absence of any significant progress in some boroughs. As I have mentioned here before, UNISON members in the Coventry local government branch are engaged in a continuing campaign of strike action over the imposition of an unjust “Single Status” agreement – their latest bulletin is available online here. We face a serious problem because of the failure of the Government to put any money into funding the harmonisation of pay and conditions in local government. This leaves us haggling with the employers about who loses how much and who gains how much, all the time looking over our shoulders at opportunistic “no win no fee” solicitors who are as happy to encourage workers to take legal action against the unions as against the employers if they can make money out of it. As in all negotiation and industrial disputes it is important that we are open with our members about the circumstances in which we find ourselves – and that members themselves take democratic control over the conduct and outcome of negotiations. So now we know – the Blairites are going to back Brown for Labour Leader. That gives us a united front of all those who backed the Iraq war, foundation hospitals, top up fees and privatisation. As trade unionists we need a clear alternative to these failed policies. We also need to be able to offer our levy paying members an opportunity to vote for a candidate who backs our trade union policies. Good job there is one! MPs linked to trade unions must reflect upon the absolute importance of allowing our members a choice in the election for Leader. Policy-lite Deputy leadership candidates, however interesting their ideas, just won’t do the job. Neither will retreads from the 80s but I think I made that point earlier. I’m just back from listening to John McDonnell speaking about his leadership bid at a meeting in Brighton. We also heard from the Save Omar campaign (campaigning for freedom for a Brighton man locked up in Guantanamo Bay), the World Court project (campaigning to outlaw nuclear weapons), Friends of the Earth and Hands Off Venezuela. 50 people seemed to me a good turnout for a midweek evening meeting in November, and the range of speakers and breadth of intelligent contributions from the floor (predominantly but not exclusively Labour Party members) underlined to me what is impressive about John’s campaign. This is a new type of Labour Party politics which reaches out to engage with those campaigning for change and justice whether or not they agree with us. If the left is going to force the necessary debate on policies - not personalities - and take the opportunity offered by the forthcoming leadership election then we need this new approach. We don't need to recycle a 1980s candidate. We need a twenty first century socialism with a leadership candidate who has consistently supported socialist policies. So it is disappointing to hear that Michael Meacher may still be being led into a doomed leadership bid. I hope Harry Perkins is wrong about this and that Michael will still throw his weight into a united left wing challenge around John’s campaign. If not he can’t possible expect significant support from the left for someone who backed the Iraq war, Foundation hospitals and ID cards! John McDonnell speaks tomorrow in Brighton. Alongside speakers from a range of campaigning organisations, John will speak about his bid for the Labour leadership from 7.30pm at the Brighthelm Centre. Come and hear speakers from local campaigns and discuss with John McDonnell the policies we need from a real Labour Government. Electing John4Leader is the last chance we have to get a Prime Minister who represents the Working class for a number of years to come. John has proved over the years that he keeps to his principles from his days as Deputy Leader of the GLC to his record in Parliament. It is literally a choice between him and Brown/Cameron policies during this and the next parliament. The Brighthelm Centre is 3 minutes walk from Brighton Station, there is limited free parking and a pay car park next door and lots of buses to the Station, Churchill Square and the Steine.